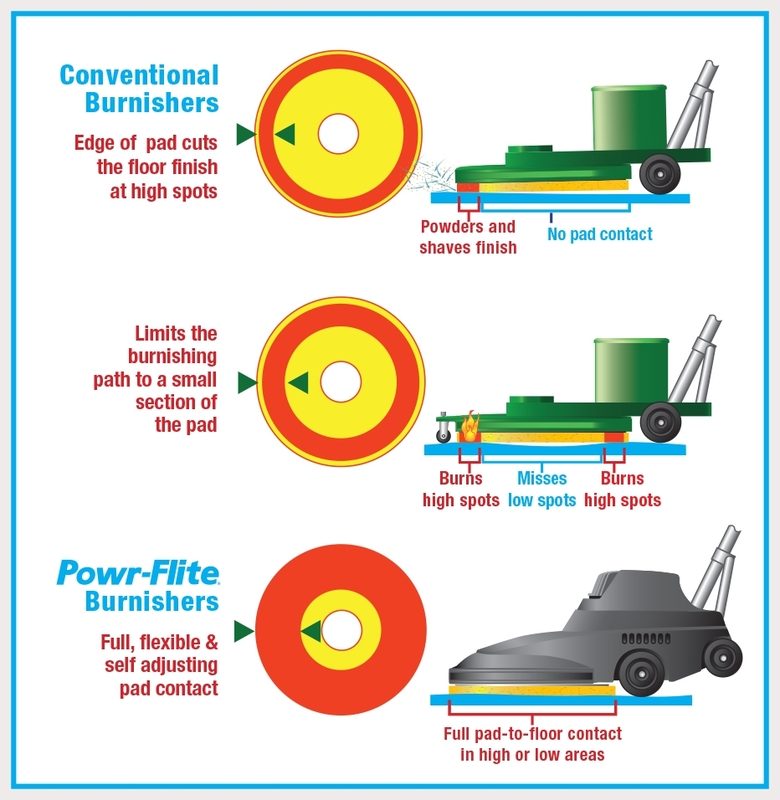 Powr-Flite’s 1,600 RPM Classic Burnisher combines the traditional all metal burnisher housing with the most technologically advanced motors and electrical components, providing years of worry-free service. These machines offer exceptionally smooth operation with a flexible pad driver for consistent results on uneven surfaces. 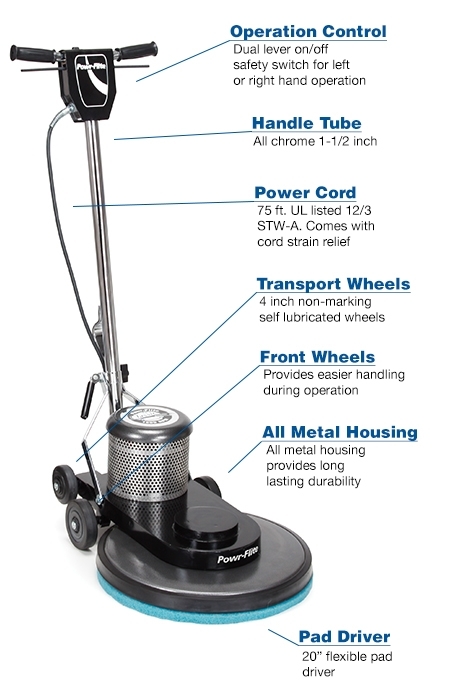 Unlike conventional burnishers, the Classic features precision balanced weight distribution, providing complete pad-to-floor contact, eliminating the need for a compensating caster.